Since I received quite a few questions about my continuation plans for the garden, I thought I would share. I had been waiting for a bit to continue the garden and yesterday I needed a break from work. So I spent the afternoon away from the computer, finishing the build for the four new boxes. I’m really happy with how they all turned out and am excited how my little back patio is coming together. The new plan is to grow larger vine plants in the top boxes (I saw a photo where people were growing zucchini and cucumbers up a trellis), medium plants and lettuces/spinach in the middle boxes (depending on the season) and reserve the bottom small boxes for herbs (I have two other pots still full of basil and cilantro too). I’m even going to work on starting some fall plants from seed and rotate the plants when it gets closer to fall (and possibly build one more set of boxes!) Not bad for not having a yard! Looks great, excited to see them all grow! We’re in full harvest season now! This looks great!! I have been wanting to do the same too and I really like your idea of wooden boxes! Looks terrific! Hope it goes well! 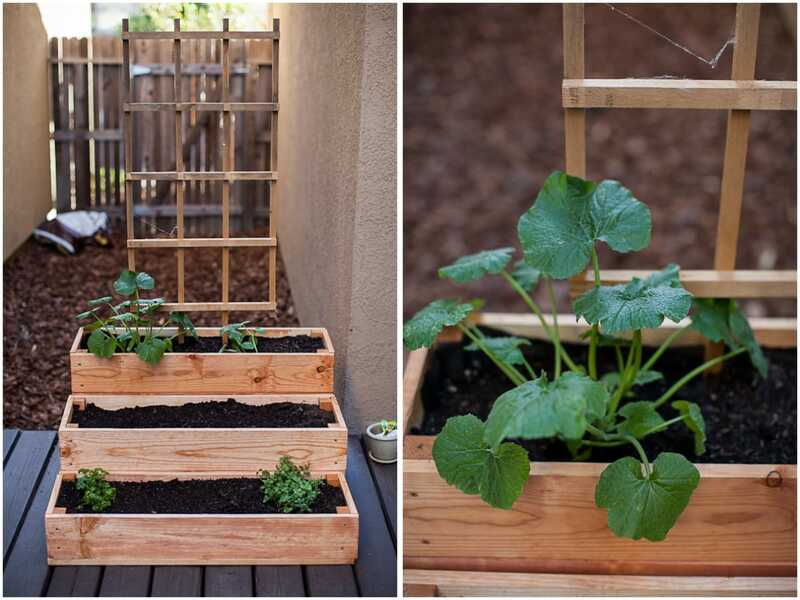 I love the boxes, and the trellis! Looks fabulous, and I can’t wait to see how the veggies do as they start coming into season. I have my first pepper “baby”, and it is super exciting! These look so nice! I’ve been experimenting with growing my own veggies (mostly in containers as well) for the past two years and it’s a constant learning process, but so rewarding. My cucumbers were pretty productive in a small container but the squash and tomatoes were definitely aching for more room. Good luck with your plants, I hope they yield lots of tasty veggies! I’d like to try a project like this. We don’t have a large garden and my hubby isn’t much of a handyman. We own a few tools, but I guess a big thing would be a saw. I have a hand saw. Did you have them pre-cut? What kind of wood did you use? 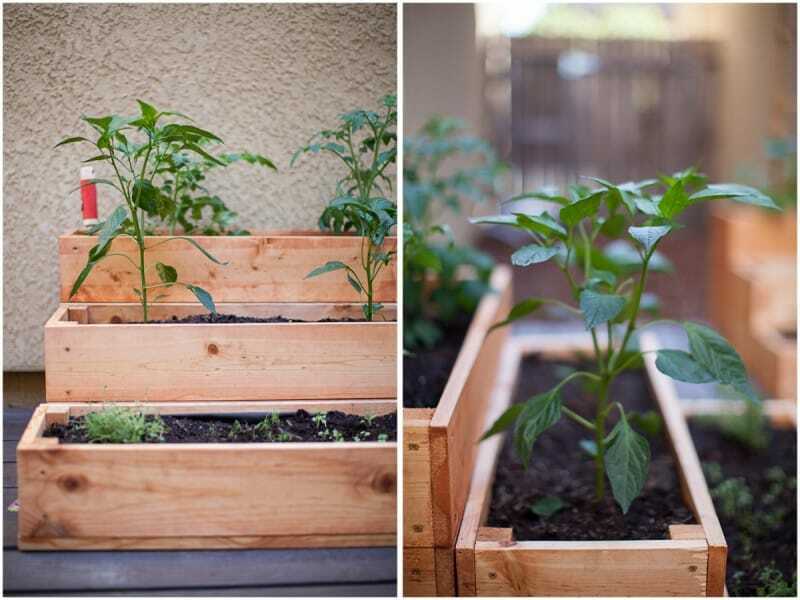 I love the look of these, creative, rustic, diy and a wonderful project for someone like me. This is certainly on my list of things to create. 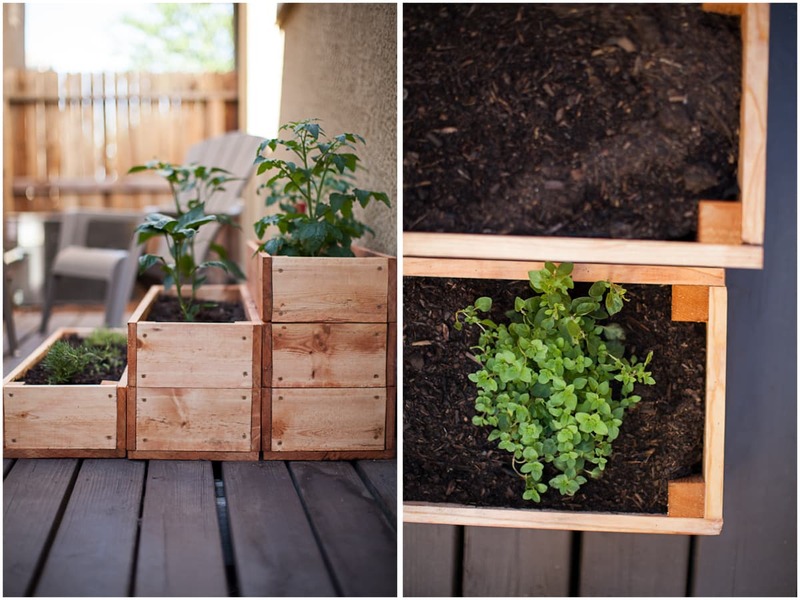 I think my herb garden would be wonderful in these.